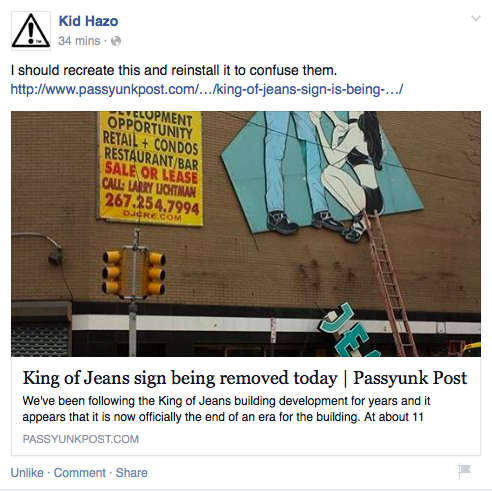 Kid Hazo to Replace ‘King of Jeans’ Sign? Dear Lord, Philadelphia thanks you for Kid Hazo… May you please help him to find the resources necessary to make this happen? Amen! What!? That sign is a part of my childhood! I remember it standing out everytime we drove by. I also remember the cool guy showing us card tricks when my friends and I went in there during high school!